We provide vehicle signwriting for all types of vehicles. 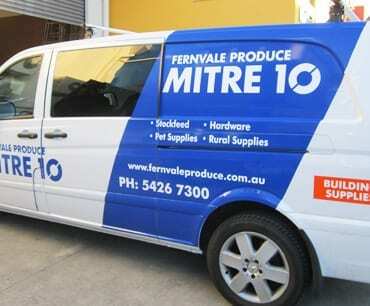 This process is often the most basic, easiest and cost effective way of branding or applying graphics to a vehicle. Generally we machine cut the graphics from a wide range of specific vinyl graphic media which is designed specifically for this type of application and is UV stable and there is a huge range of colours, textures, finishes and various sizes as standard. Vehicle wrapping and digitally printed sign solutions is one of the most popular and fastest growing areas of our industry…..and there is a key reason for this. 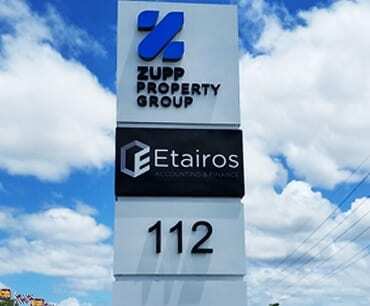 It works extremely well and is often understood as the most cost effective way of advertising. Utilising a company vehicle or vehicles in this way just can’t be beaten for value, 365 days a year, 24 hours a day of mobile marketing. Eye-catching, effective and a professional look for any business, product or service promotion. 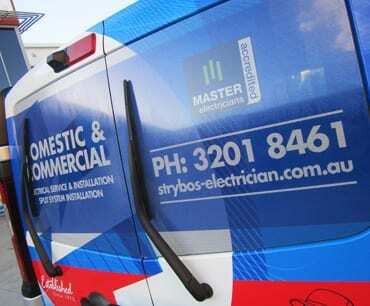 Supplying commercial fleet graphics for many years now, so we know & understand the importance of strong branding, identity & how that needs to flow across your commercial fleet. 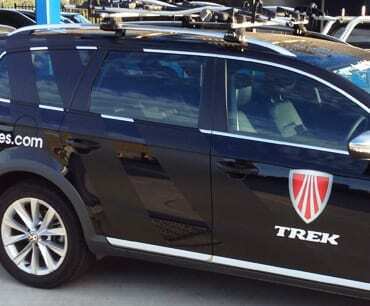 Stylish corporate vehicle branding can often be subtle or very dynamic, we can provide the design that’s suits, quickly understanding your brand getting it working for you in best way. 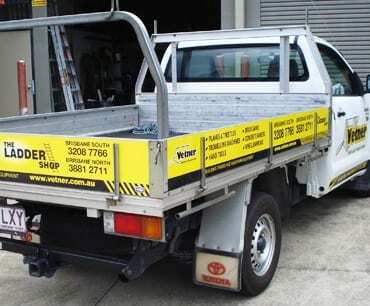 As Australians we all know we love our trucks and utes and that’s exactly why we specialise in ute graphics and truck signage here at Surreal Signs. We’ll look after everything! Using your courtesy buses and vans to promote your own business is a smart move obviously, but there are other possibilites for advertising & promotion for other companies too. This is such a great product and so popular now. Digitallty print to the face of the material, laminate it for UV and scratch protection, but the print is only visible from the outside. Design, print, vinyl cut graphics and application solutions for all shapes and sizes of trailers. 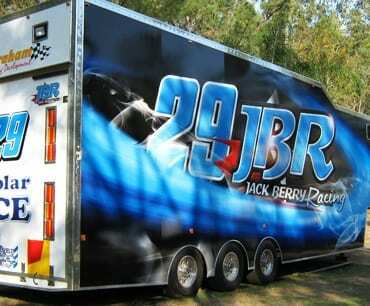 Race trailers to box trailers, we can also provide alupanel signs for cages.